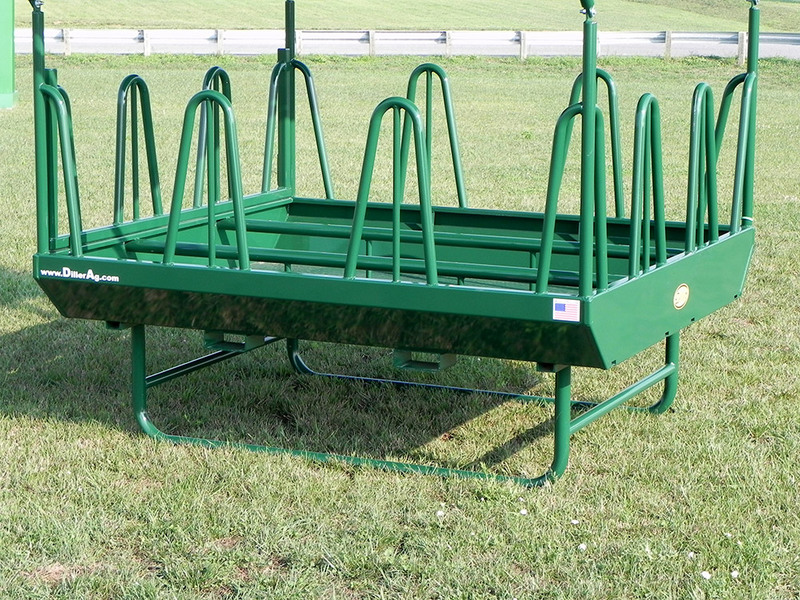 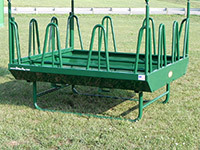 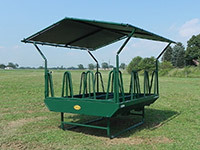 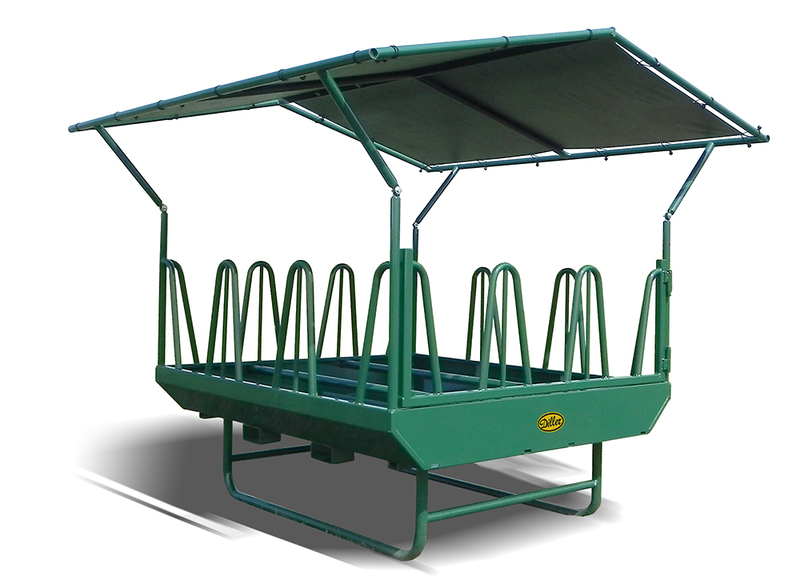 The Diller "Tombstone" Style Large Bale Horse Feeder (HFS-8808H) has been a top seller in the Equine Market for 7 years. 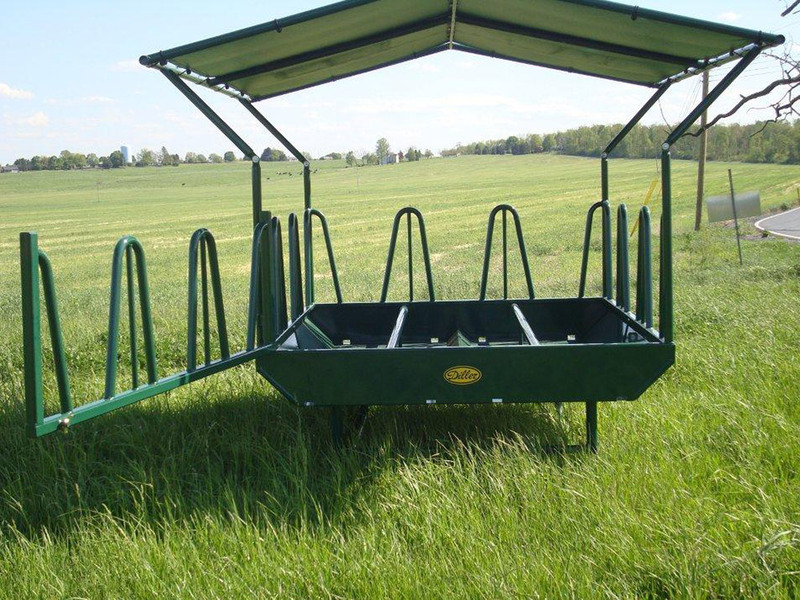 Our Standard line of Horse Hay Feeders are 88" wide and 96" long and are designed to feed either round hay bales or large squares. 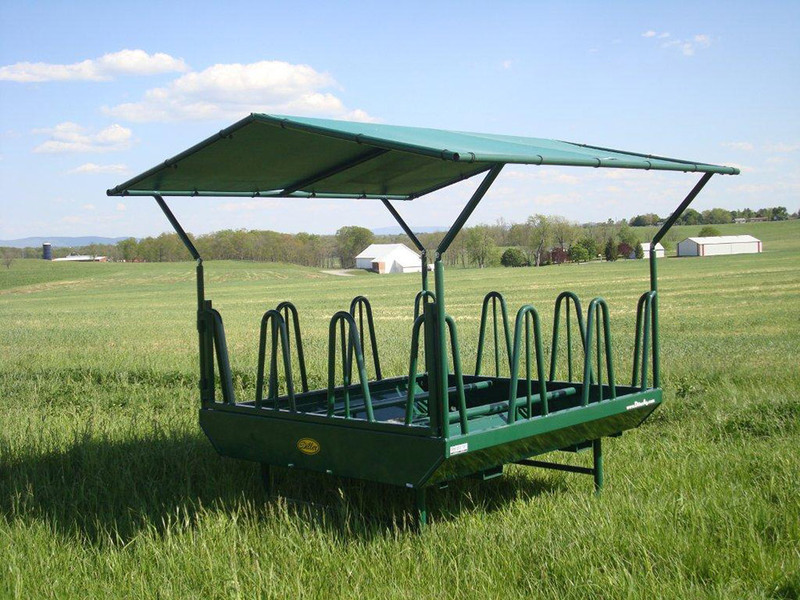 A hinged side swinging gate allows easy loading of large bales into the feeder, and makes cleaning the feeder an easy chore. 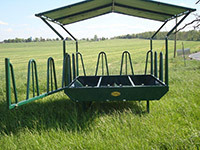 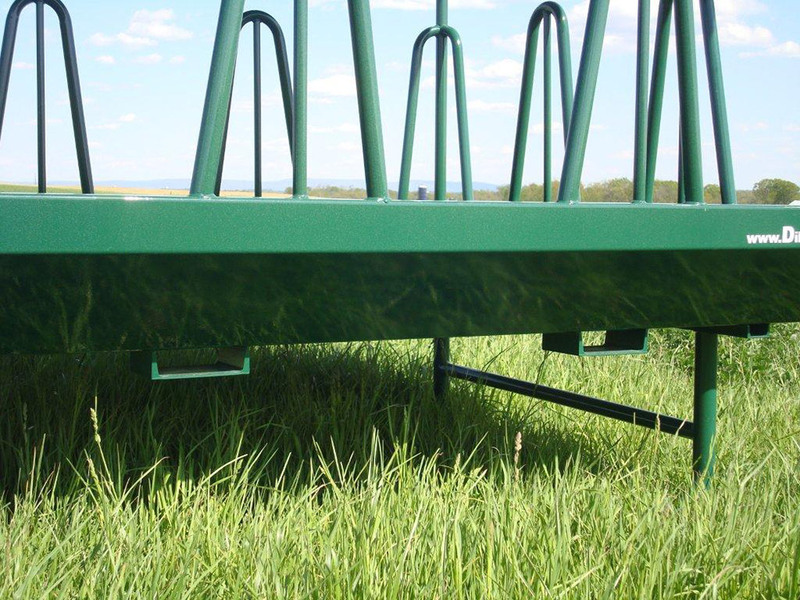 The "widebody" style of the feeder is designed to catch much of the hay that is typically wasted on the ground as a horse feeds from a bale. 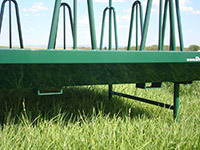 Tombstone style dividers space out territorial horses and help to prevent injuries caused by animals climbing into feeders. 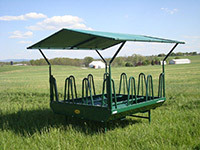 A roof covered with a military grade vinyl-coated polyester tarp shelters the hay from weather damage and also provides extra shade for horses. 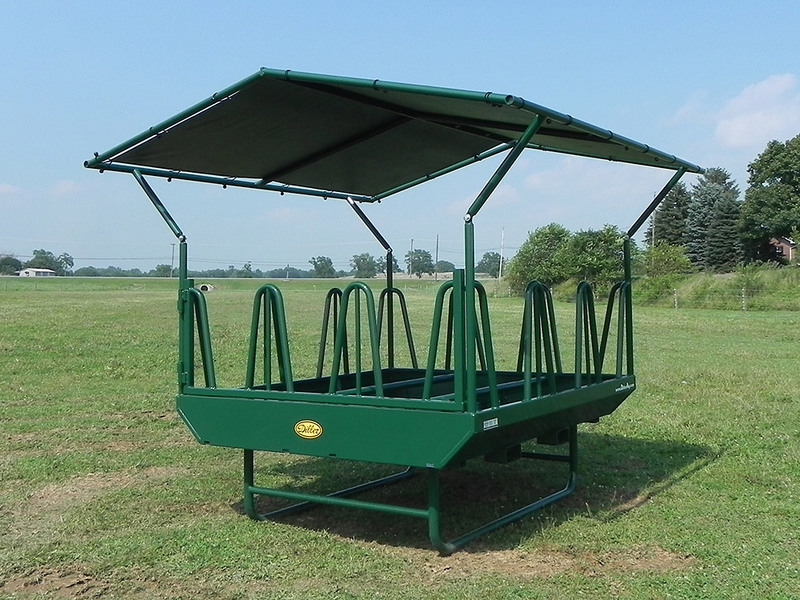 With all these features, it is easy to see that a Diller Horse feeder is an investment in equine equipment that will last for decades.